OLD PARKED CARS. 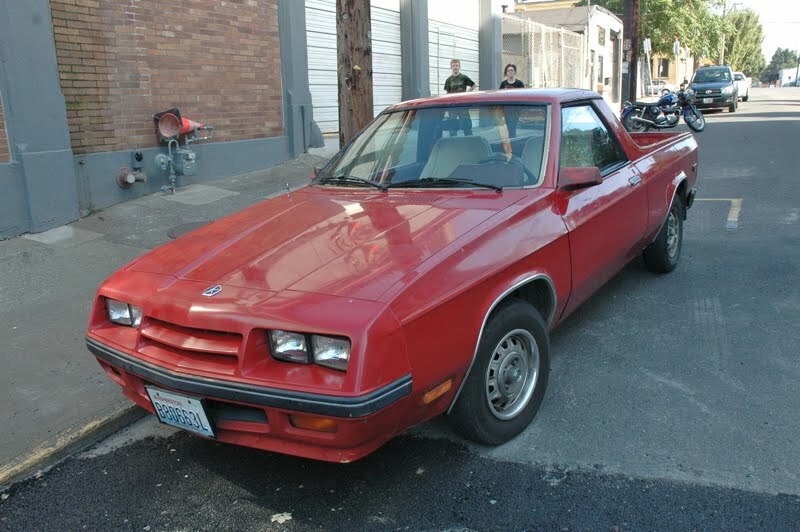 : 1984 Dodge Rampage. Son of a gun. I've been trying to Peep one of these, but it's always on the move. RAMPAGE.... It's a car with room to haul its awesomeness around. Gotta love how agressive it looks. room to haul its awesomeness and not much else. i like to crack myself up picturing myself driving one of these. appears to be an extremely well kept example. A FWD pickup truck?? FAIL. 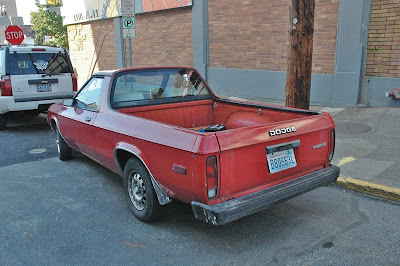 This shitbox, along with it's crappy 2.2 engine, and the VW Rabbit pickup, have to be the stupidest ideas for pickup trucks ever. Seriously, can you really tow a very large boat with this thing? 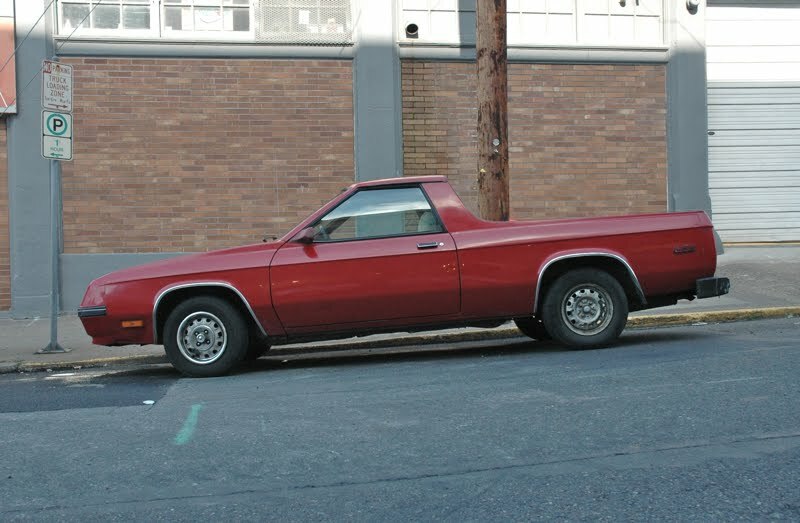 At least, the El Camino, Caballero and Ranchero were RWD, to do the job. This car resides in Stevenson, WA, or at least that's where I found it. First one I'd ever seen.